Located in Historic Downtown Leesburg, Southern Gourmet Cafe offers a delicious and fresh lunch menu full of culinary excellence. The lovely Maddox family, impressed by my work on the Claudopatra website, commissioned me to build a website for their delightful cafe and store. They became the first paid client of Twisted Jackal and marked my transition from a hobby designer to an actual career. Their site incorporates trends from modern design, such as large hero images, full-width sections, terrific typography, and more. I made sure to keep the design clean, crisp, bright, and most importantly, welcoming – just like the cafe itself! 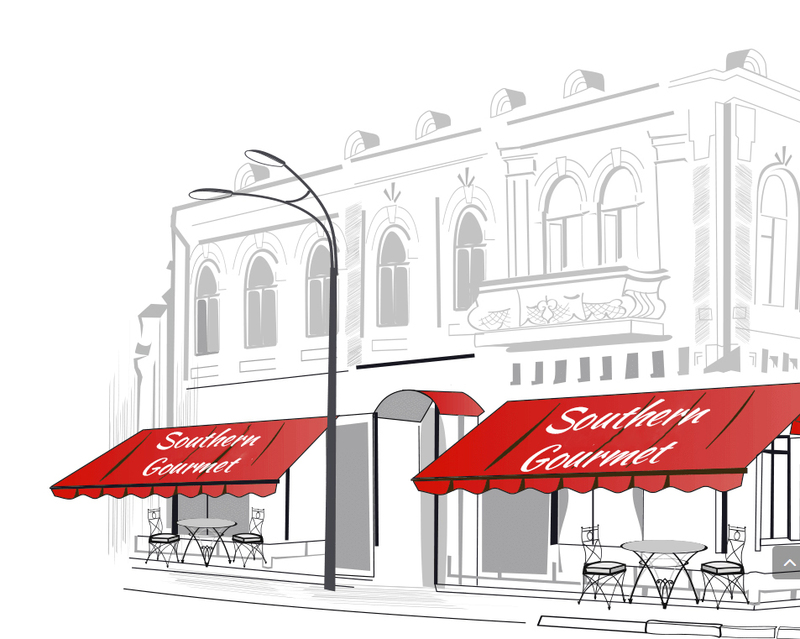 The most important aspect of Southern Gourmet’s website was the menu. The client’s main priority was having an easy-to-read and enticing menu that worked great on mobile devices, so that people who were out and about in the Downtown area could easily view it and decide to eat there. I hadn’t actually designed a menu before, but after doing thorough research, I created something the clients thoroughly loved.